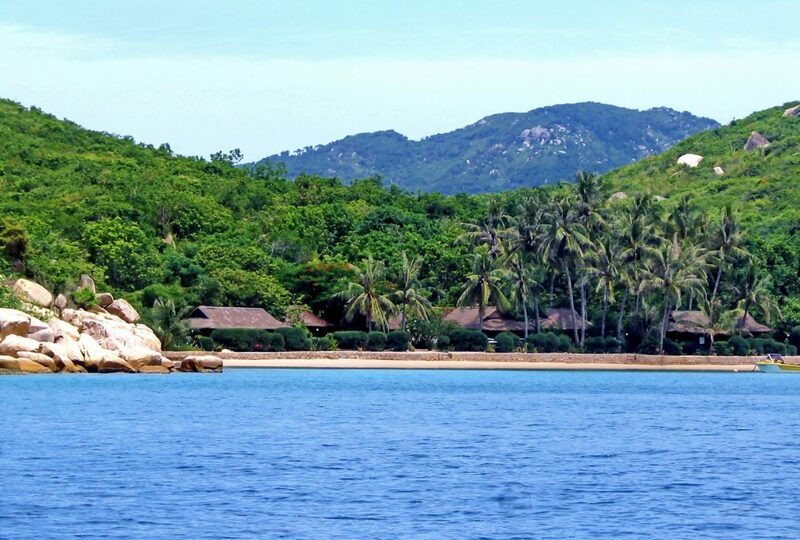 A delightful, beach-side and low-key resort on secluded Whale Island in Nha Trang Bay. 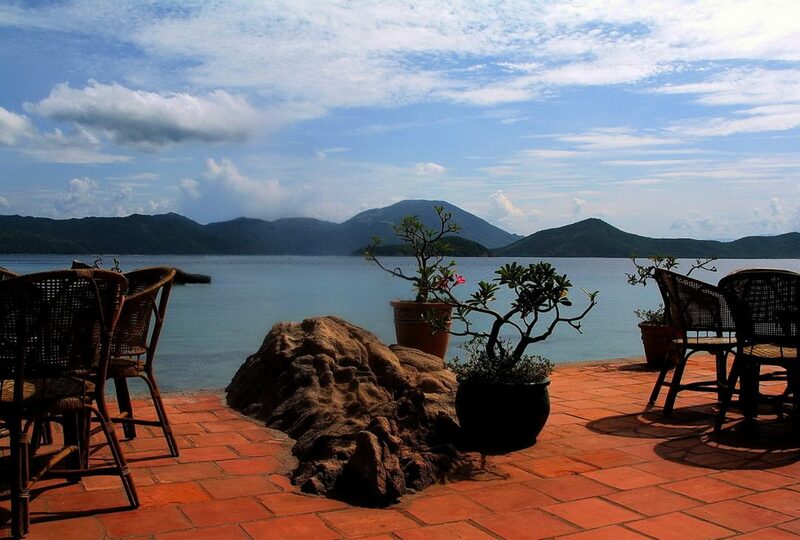 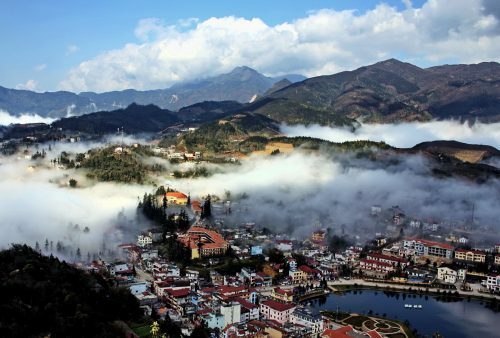 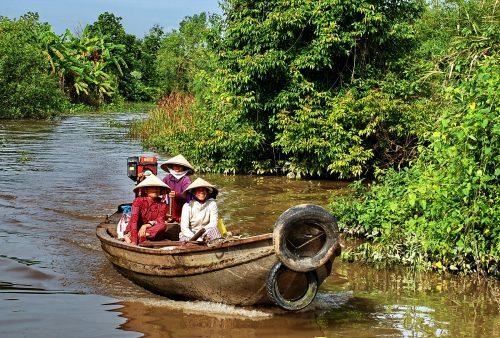 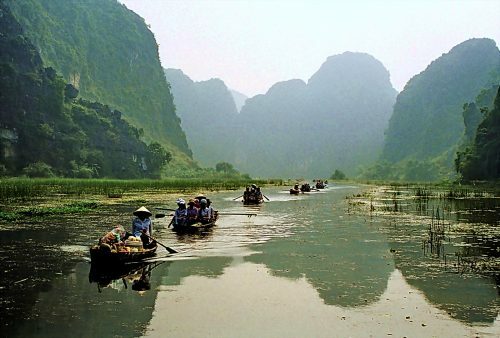 Extend your Vietnam tour, ‘World Heritage Sites of Vietnam‘ with a stay at the superb Whale Island Resort. 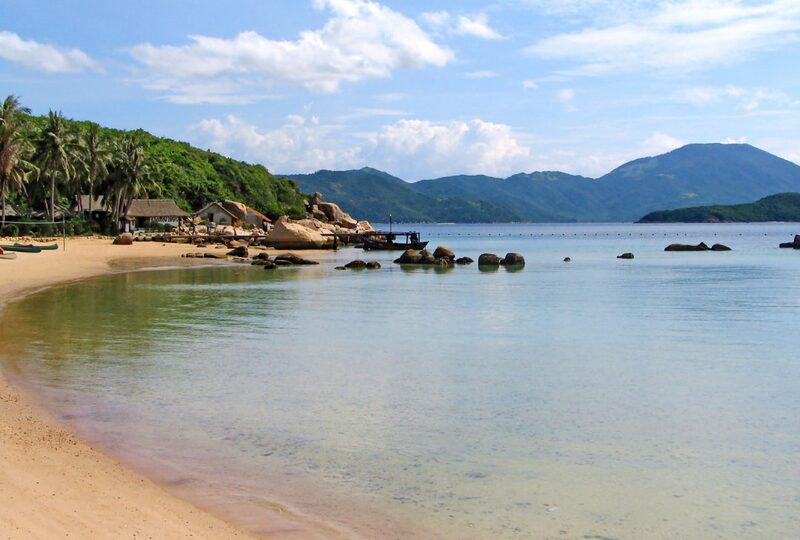 Located amongst the myriad islands of Van Phong Bay lying to the north of Nha Trang City, the Island combines the convenience of Nha Trang Airport with a secluded location away from the bustle of the city. 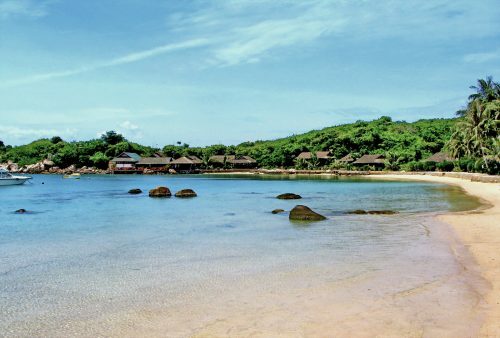 The small, well run resort has a total of 23 comfortable and well designed eco-friendly chalets constructed in traditional style on stilts from bamboo and wood, beautifully situated facing the beach on a wide scenic bay. 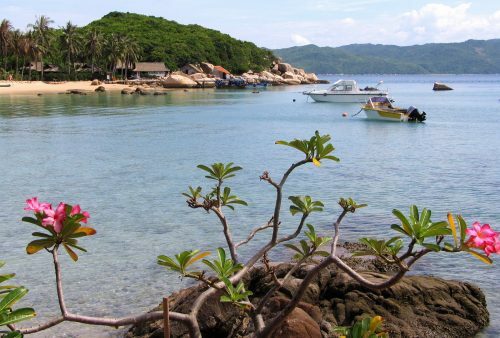 The area is rich in wildlife with a variety of habitats both marine – plentiful reefs and snorkelling trails – and dunes, mangrove swamps and tropical coastal forest, so ideal for hiking or bird watching as well as snorkelling and scuba diving. 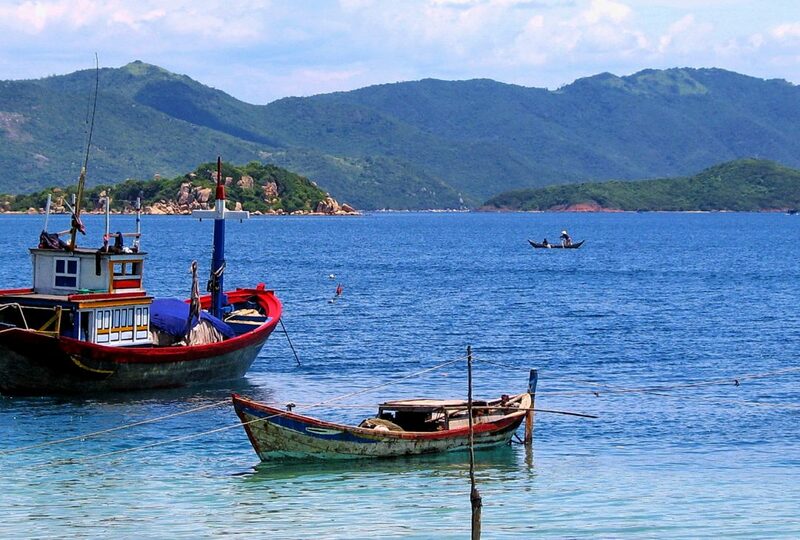 Nha Trang airport had frequent flights to either Saigon or Hanoi – the price given is for flights to Saigon, there is a supplement of approximately £50 if a flight to Hanoi is required. The price is per person based on two people, it is available for one person at a cost of £585.. Transfer to Danang Airport for a short flight to Nha Trang and a transfer by road or boat to Whale Island. 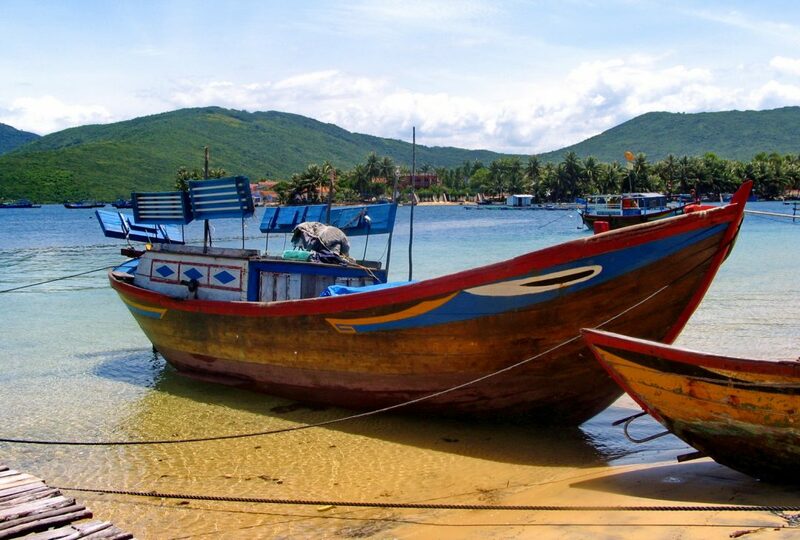 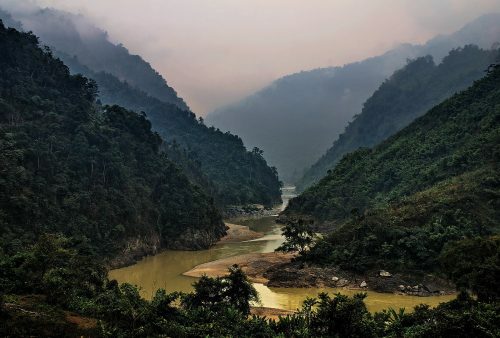 Though Nha Trang is easily accessible from a variety of destinations our Whale Island extension was particularly designed with our 'World Heritage Sites of Vietnam' tour in mind and a transfer to Nha Trang on day 12. 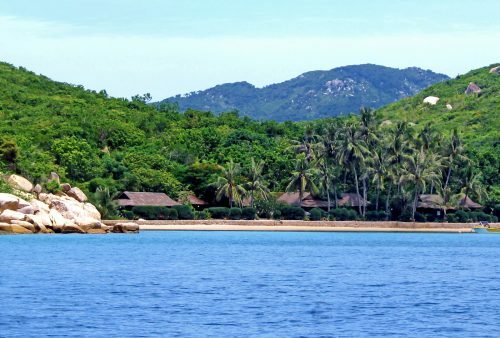 At leisure on Whale island; snorkelling, boat trips, hiking, kayaking or spa facilities are just some of the options on offer. The area is rich in wildlife with a variety of habitats both marine (plentiful reefs and snorkelling trails) and dunes, mangrove swamps and tropical coastal forest, so ideal for hiking/birdwatching as well as snorkelling/diving.